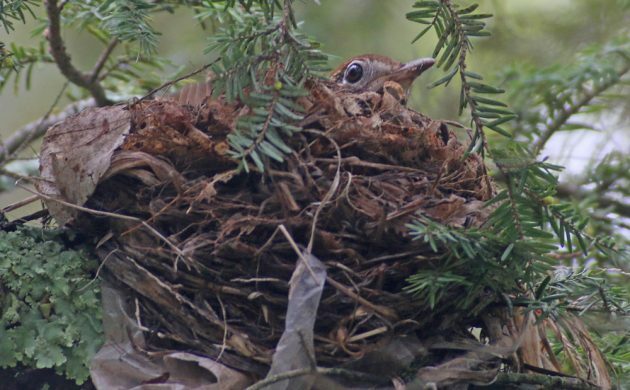 On a visit home to my folks’ house in Saugerties, New York, on Mother’s Day weekend (12-13 May, 2018) I was pleased to once again hear Wood Thrush singing from the periphery of the yard, as they have done every year for as long as I can remember. Somehow, though, I had never found a nest. That changed this year when I spotted a nest in a hemlock branch over the driveway. 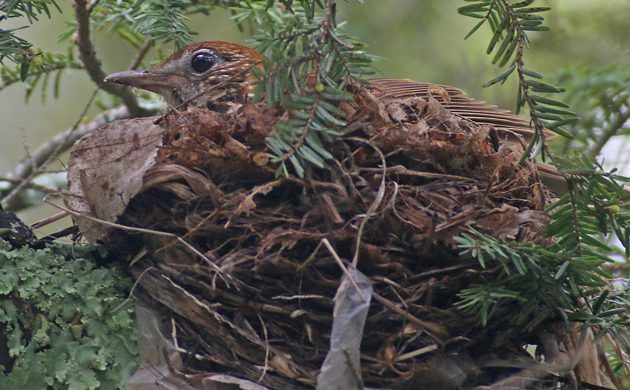 While I was wondering if it was left over from last year or if it was new construction a Wood Thrush removed all doubt by landing on the nest with some nesting material to add to the construction. 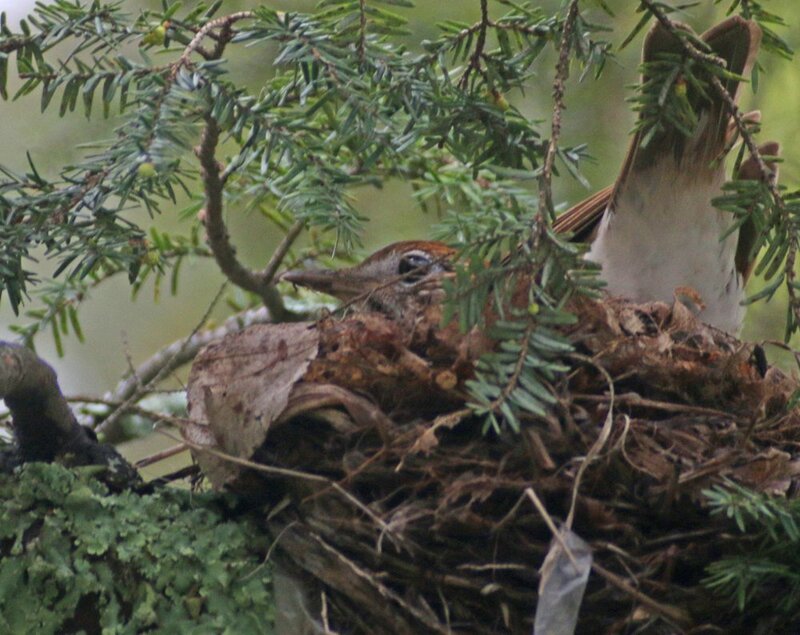 Wood Thrush manage to camouflage themselves rather well on their nest. I was prepared for the bird’s next visit, with my camera on my scope. As soon as I saw the bird approach the tree I hit record. Wood Thrush are a common bird with an uncommonly beautiful song. I just hope that they continue to nest by my parents’ house so I can come and visit every year and hear that amazing music! Sadly, this past week my father found the nest on the driveway. He blames the squirrels but he has essentially declared jihad on the fuzzy critters after how they raid his bird feeders so he’s probably not the most reliable nest-destruction-detective. I just hope that the birds build another nest! They should as they have plenty of time to get it done and get their young fledged. Very nice !! They have the most beautiful song. I could listen to them singing forever !! Where Are You Birding This Second Weekend of January 2010?